Play from the browser of any tablet or phone. No download required. 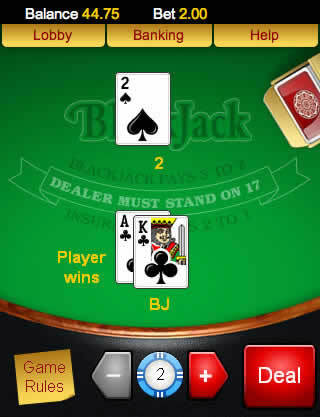 Mobile slots, table games, poker and jackpot apps for real money. $10 completely free to try at the iOS slots machines or tablet games. All Slots Casino is currently not available in the United States. iPhone casinos cater specifically to the 300 million iPhone users who find themselves restricted from the majority of online casinos and gaming apps. All Slots iPhone Casino has all the trappings of a standard Internet betting venue, offering promotions and bonuses as well as a variety of games to people running Apple’s mega-popular smartphone. All Slots isn’t targeted only at Apple gadgets – they operate a traditional Web-based online casino and provide versions of their games for users of many other devices, including Apple’s rival Android. The site offers gaming options for owners of Android devices (including both handhelds and tablets) as well as platforms for both the iPad and iPod Touch. To gain access to the mobile games All Slots provides, players download the software for their device and register an account as a new customer. The casino’s website advertises boldly that their software is compatible with more than 1,600 existing mobile devices. All Slots offers a welcome bonus to new customer's worth as much as $530. But this welcome promotion has a very short time limit – to earn that $530, new customers must make four deposits in their first week as a member. Many other restrictions exist; including a rollover total as high as 10x the size of the desired bonus. For further details, check the site’s Terms & Conditions pages. That welcome bonus of as much as $530 is broken up like this – first, a no-deposit reward of $10 of free wagers, then a four-stage deposit-based bonus program. Customers that opt into this program gain access to more bonus money the more deposits they make. After a player’s first deposit, the reward is a 100% match, maxed out at $200. All Slots will also throw in $10 as another no-deposit bonus. The second deposit match is also at a rate of 100%, but only worth up to $100. Deposit match number two also comes with a $10 reward. The third match is only at a rate of 50% and maxes out at $100. The fourth of the welcome deposit match bonuses pays out at a rate of 25% to a maximum of $100. 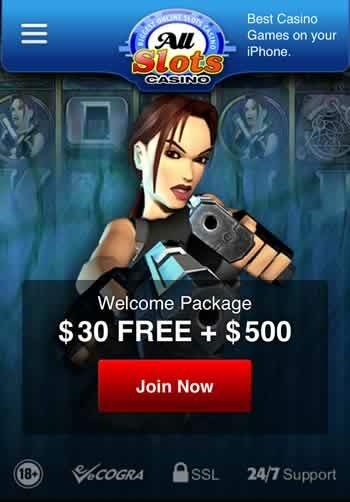 All Slots also advertises that players can earn up to “$5,000 in bonuses in a year.” Unfortunately, the site doesn’t provide any details to back that up beyond saying they give members offers of “. . . cash-back bonuses on deposits,” and “Free credits to play on the house,” as well as “Free spins on our hottest slots.” As of this writing, there are no concrete details spelled out by All Slots regarding where and how a player can earn their $5,000 a year in bonus money. It’s unfortunate that All Slots isn’t clearer in the language they use about promotional offers past the welcome stage. The lack of details on future bonuses will no doubt turn some players off. Mobile gaming fans won’t be surprised to find just twenty-one games on offer – that number is about average for gaming apps. If the name isn’t clue enough, the focus of All Slots in terms of game selection is slots. 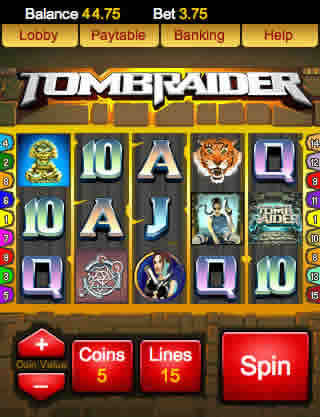 Slot games are broken up into categories like 3-reel, 5-reel, and progressives. 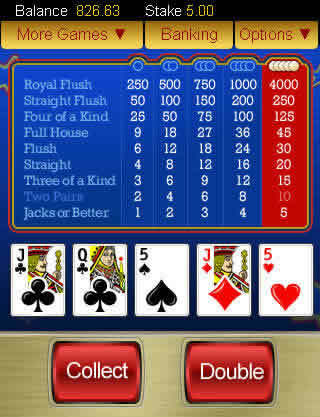 Popular mobile progressive games such as Major Millions and Treasure Nile are available as of this writing. 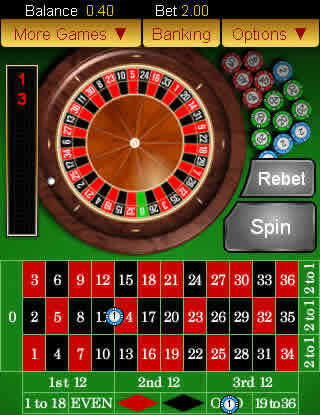 All the games at All Slots Casino are part of the Spin3 software suite developed by Microgaming. One of the big players in online casino design, Microgaming builds reliable and well-tested software. 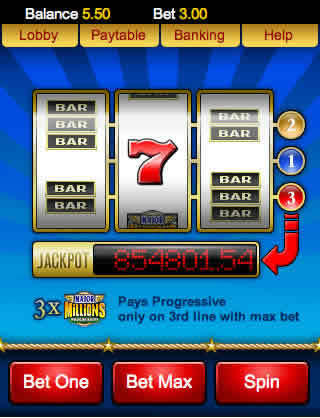 The connection between a player and All Slots iPhone Casino is even sturdier because the games operate from a download platform. Because this mobile gaming app caters to customers from different parts of the world, the banking methods available depend largely on where a customer calls home. Here is a complete list of the financial options the casino offers for deposits and withdrawals. VISA / MasterCard / Solo / Maestro, Neteller, Skrill, Skrill 1-tap, UKash, Click2Pay, Paysafecard, Ecocard, Instadebit, Click&Buy, EntroPay Virtual VISA, CitadelDirect and Bank transfer. Take note that not all customers will be able to use every method above to add and remove funds from their player account. Check the site’s terms and conditions for more details about available financial methods for customers from your area. Support at All Slots is available in four languages – English, French, German, and Swedish. All Slots’ customer service department is available by phone 24/7, toll free. The number a customer calls depends on where they live in the world. Mobile customers can also contact support via a few different email addresses, depending on what their question or comment is about. On the casino’s website, they promise to respond to all emails within two hours. For customers of All Slots who want to use a live chat feature to get a faster response than that can do so, through the non-mobile website’s support menu. All Slots iPhone Casino runs on the popular Microgaming software platform, provides customer service in a variety of methods 24 hours a day, and is available for download across a number of different mobile platforms. 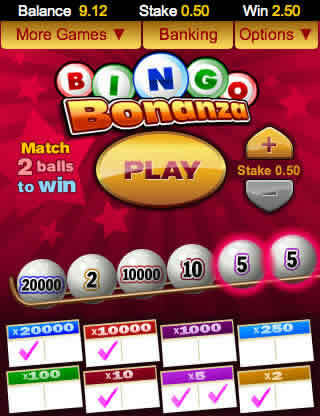 The biggest knock on All Slots service is its lack of specificity about customer bonus and promotional programs.